You asked, we listened! You can now sign into your Shoeboxed account on our iPhone app using Facebook or Google. Download the latest version here. 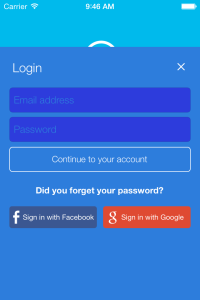 On the login screen of the app, there are buttons for both Facebook and Google sign-in. As always, let us know if you have any questions 24/7 at help@team.shoeboxed.com or on Twitter at @ShoeboxedHelp.